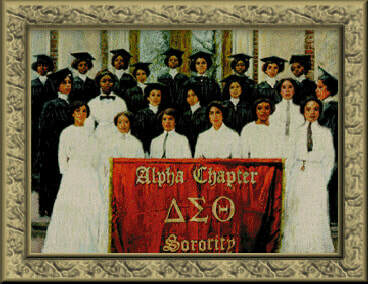 ​ For more information, visit our national website at www.deltasigmatheta.org. During the past 20 years, the members have continued with their commitment to sisterhood, scholarship, and service by actively participating in many events within the service area. Over the years, the activities have included: ongoing activities involving Educational Development, community service activities related to Physical and Mental Health, Social Action and Political Awareness, Economic Development, and International Awareness. The Educational Development activities with Delta GEMS and Delta Academy (middle and high school girls) focused on building self-esteem, SEE (Science in Everyday Environment), Etiquette, the Adventures of Dating, as well as many other topics aimed at building strong foundations/lives for the young ladies involved. In addition to these educational activities, for the past 20 years, high school seniors have been given the opportunity to apply for a scholarship to use at a college or university of their choice while continuing their education. Physical and Mental Health activities have included assisting with the Hancock County’s HOPE Clinic where attendees received non-perishable food items, clothing, medical exams (health fair) such as diabetes testing, counseling related to maintaining/controlling high blood pressure, and dental exams. The clinic was also set up with activities for the children to keep them entertained as their parents received services. In Baldwin County, during Heart Health month (February), the Chapter has hosted a luncheon in honor of deceased member, Dorothy Stubbs Smith; as well as, distributed heart health literature to patrons at the Milledgeville Mall. The activities in Baldwin County were not limited to heart health. The members of the chapter have also participated in Relay for Life activities to promote cancer awareness and to raise funds for research. Finally, in Putnam County, during Stress Awareness Month (April), the chapter members and volunteers distributed information related to preventing stress to members of the community. The activities and/or services have been endless! Chapter members have also worked together to make a difference in their service area by providing Thanksgiving dinners and Christmas gifts to needy families in the three counties. We have worked on numerous Political Action/Social Awareness activities that have included Census Awareness; voter registration drives; and, going to the polls to vote. For example, the chapter members provided refreshments to the poll workers and passed out Census literature and/or gifts to shoppers at the Milledgeville Mall during Census Awareness month (March). The Chapter has distributed literature and held workshops on how to develop Financial Fortitude through saving, budgeting, investing, and writing a will. The Chapter has also invested in the community by helping to build homes with Habitat for Humanity and by giving free AIDS tests. Last but certainly not least, the Chapter has held annual retreats and Founders Day celebrations so that the members could rededicate and recommit themselves to doing the work of Delta. We will continue to be a small Chapter making a BIG difference in our communities! To learn more about the history of Delta Sigma Theta Sorority, Incorporated on the National level, please visit our National Headquarters Website.